Office hours 8 to 5 p.m. The Venuti Group offers unparalleled service to ALL clients in the Grants Pass Oregon real estate market. Your complete satisfaction with our service and representation is our number one priority! 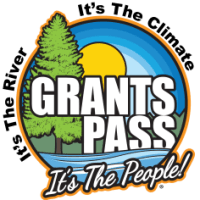 We serve the entire Grants Pass area, including the surrounding communities in Douglas County, Jackson County, and the Josephine County area! Northbound exit: As you come to the stop sign at the end of the off ramp, turn left and follow the left lane under the freeway to the stoplight. You are now at 6th and Morgan, travel 0.9 miles.